Yes… yes you can. We actually decided to answer this question this past fall after a season of autocross totally lacking in high center-of-gravity, two-wheeled drama. I invited a friend along to the final points event of the Chicago-area BMWCCA autocross season. The organizers resisted but we were eventually able to successfully register a WK (3rd gen) Jeep Grand Cherokee SRT-8 citing its lower ride height and performance upgrades. The club initially required an instructor ride-along given lingering concerns about stability but eventually relented and pretty soon everyone was looking to grab an available seat. My friend and his Jeep actually did pretty well, placing mid-pack in the non-BMW class with much more nimble entrants ranging from Honda Civics to Porsche GT3s. Most importantly, he kept the shiny side up. 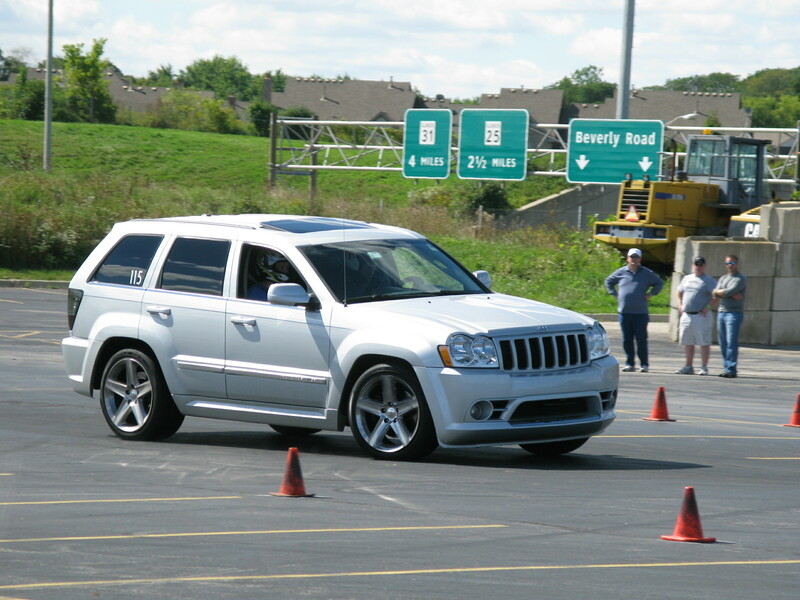 This entry was posted in Autocross and tagged Autocross, Grand Cherokee, Jeep, SRT on February 21, 2014 by Neil. 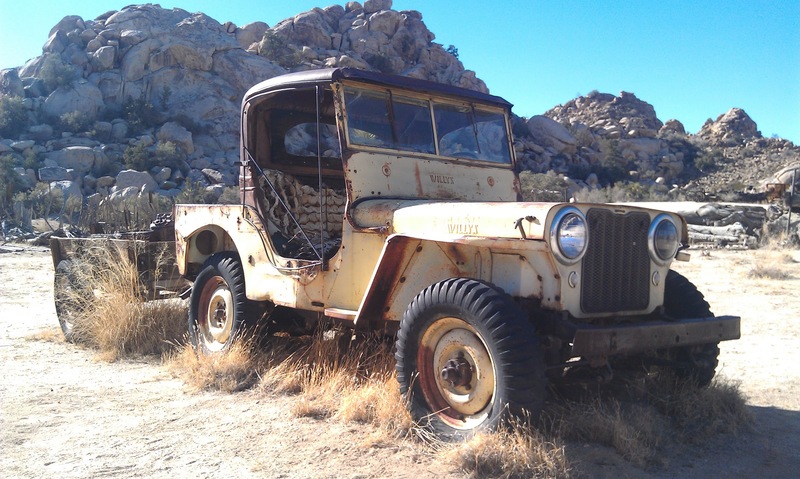 This entry was posted in Street Parked and tagged Jeep, Joshua Tree, Willys on February 13, 2014 by Neil.